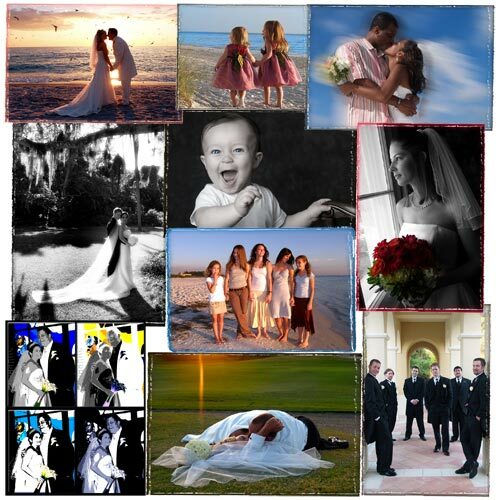 We have had the pleasure of photographing families, weddings and special events on the west coast of Florida since 1975. Our distinctive style combines traditional imagery with a journalistic approach ... capturing those speicial moments, while you enjoy your celebration. Digital video art with custom music tracks, black & white and hand-colored prints and the finest team of photo & video professionals - look forward to creating the images of your dreams. Evelyn England, Michael Nash and our talented SAGE associates. Call Evelyn at 941-923-4333 to plan the images of your dreams. "Our Prints are Lifetime Guaranteed"
Copyright ©2007 Sage Art Photo & Video. All rights reserved.